Playing music on both my computer and with my Android phone. So like most people, I’ve got an old phone. Mine isn’t an iPhone though (yes, chastise away fanboys), but I’d like to use it for something. I decided to set it up with airplay, so I could play my iTunes library on my iMac synced up with my living room surround sound. Not a bad reuse for an old Motorola. 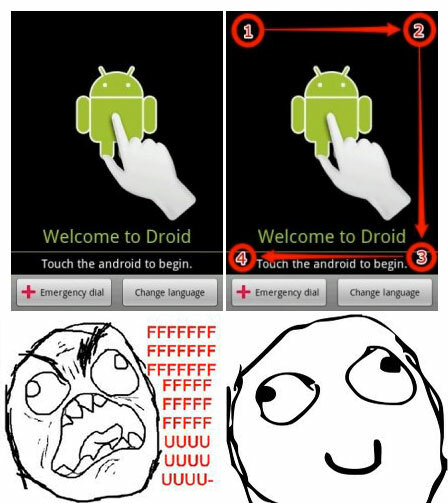 This took about 5 minutes, and I was was up and running with a new, clean version of Gingerbread on my Droid… or was I? VZ: Hello, this is (insert name of person you aren’t too fond of here). Can I get the number of the phone you are setting up? Me: Hello. I’m setting up a phone over wifi. I’ve moved my number to a new phone, and did a factory reset on my old phone to use over my wifi network. VZ: You will need to attach a number to this phone to use over the Verizon network sir. Me: But as I’ve said, I already have a phone on Verizon. I’d like to bypass your activation and use the phone without a plan. VZ: You can not use your phone without activation sir. Me: Well then, I guess we are done here. So apparently I cannot use the device I paid good money for. Interesting business plan Verizon. Well, now it was time to do the real work. A quick search gave me this gem of a tip. Apparently by tapping the activation screen in a clockwise direction, you can bypass it altogether. I wonder if the Verizon rep knew that? Now that I was able to actually use my phone, I setup my Google account, and downloaded the app AirBubble. 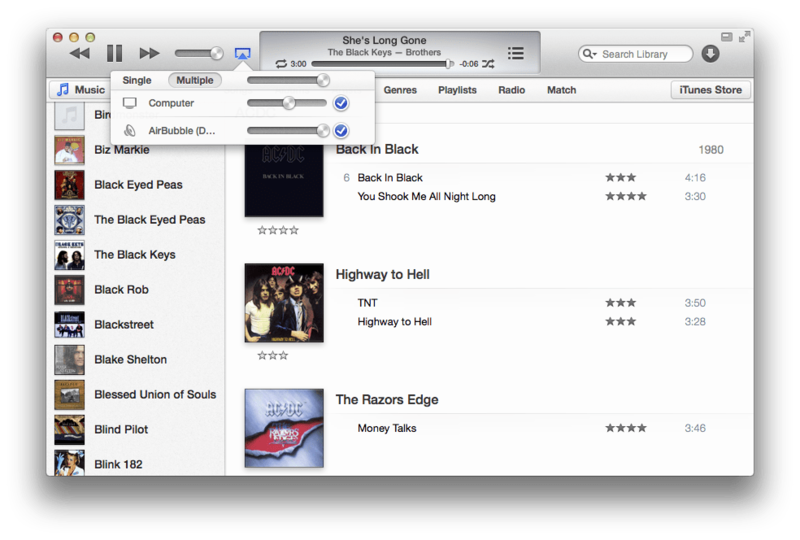 Once installed, it showed up as an airplay device in my iTunes (see top image). Now I could play my music to just my computer, just the phone, or both. Easy as pie. 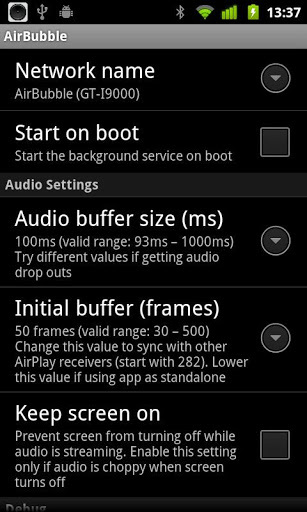 One other note: After hooking my phone into my surround sound, the music was a bit off on each device. I resolved this by raising the initial buffer settings. Set to what works for you.